Cecil (Mason Cook) reveals his dark side. Argonaut (voiced by Ricky Gervais) is a small, handsome, talking dog. 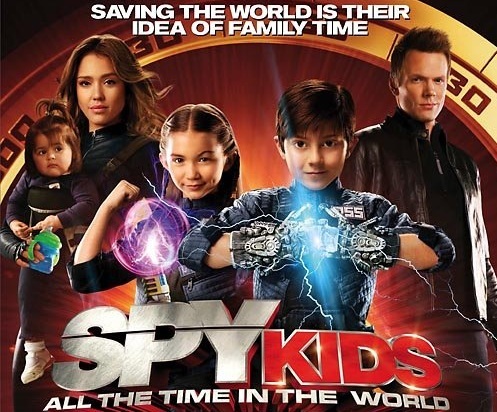 Spy Kids 4 will be released on August 19, 2011.